Pound Sterling has been attempting to crack higher against the Euro and enter fresh air for some time now; anything above 1.1525 would represent the best exchange for Euro buyers since June 8, 2017 and at the time of writing these levels look tantalisingly close. In mid-week trade GBP/EUR is quoted at 1.1471, having gone as high as 1.15 during the course of the past 24 hours. We have been watching Sterling-Euro churn in the 1.1450-1.15 area for a couple of days now, noting that this area represents a key resistance point that the Pound is struggling to break above. Driving a belief that a move higher can ultimately be achieved is the reaching of the preliminary agreement between UK and EU Brexit negotiators for a transition deal that implies that the worst-case tail-risk (i.e. a cliff-edge) concerning Brexit has dissipated. Yet, despite this fundamental reason to be optimistic on Sterling, the GBP/EUR exchange rate is below levels seen after the EU referendum, a time when this tail-risk was still alive! Indeed, the Pound should be higher against the Euro if these were normal times and studies show the Pound is notably undervalued against the single currency by typically measures. Analysis from researchers at ANZ Bank - founded in London in 1835 and now one of the largest lenders in the antipodes - suggests a 'risk premium' is now at play in Sterling and it will be hard to shake, ensuring the currency stays below where it should be for a protracted period of time. Where Should the Pound Be? In short, it should be higher. We know this because the GBP/EUR exchange rate has an historically entrenched tendency to follow the 'real yield differential' - this is the difference in yield offered by Germany and UK bonds. The theory goes that money will flow from the area with the lower yield, to the areas with the higher yield as this offers greater returns. With the Bank of England tipped to raise interest rates again in May 2018 and again by May 2019, UK rates are heading in a direction that pushes yields higher. This would therefore typically support the Pound. ANZ analysed the steeper tightening path’s effect on the exchange rate by creating a simple ‘short term fair value model,’ which uses only the real yield differential. As shown above, the relative yield spread does a fairly good job of explaining the moves in the EUR/GBP exchange rate. Based on the current yield differential, Sterling is cheap (with the fair value at at 0.80 for EUR/GBP). This therefore gives a fair-value for the Pound-to-Euro exchange rate at 1.25. Now either the Pound is ultimately going to catch up and move higher, or something is keeping it suppressed. ANZ argue the latter saying the Bank of England is unlikely to give the Pound a boost anytime soon. "Our analysis shows that there is a higher risk premium in Sterling post the referendum. Importantly, the sensitivity of GBP to interest rate may have declined. This structural change is likely to remain, owing to ongoing uncertainty over future UK international trade in goods and services," says Daniel Been, Head of FX Research at ANZ Bank. For Been, enough uncertainty remains to keep the Pound under pressure. "Looking at the capital account for the UK provides evidence of this structural break. In both portfolio and in direct investment flow, foreigners have been less willing to finance ventures in the UK. We expect that this will continue despite the negotiating progress made to date," says Been. The question is whether or not the UK will attract these inflows of capital once more Brexit certainty is delivered. Been appears to think not, that Brexit could permanently alter the attractiveness of the UK as an investment destination. This train of thought is not however shared everywhere, we reported recently that Mikael Milhøj, an analyst with Danske Bank, does not expect GBP/EUR to move significantly higher until "we get more clarification on what the future relationship is going to look like". Once further clarification is forthcoming, Sterling could be afforded the space to head higher. The EU and UK are set to start discussions over trade with the view to arriving at a preliminary agreement by November 2017. A more compelling view from ANZ driving their pro-Euro view that the Eurozone to remain a more attractive investment destination than the UK, and therefore the Euro will ultimately remain well supported. "Recent trends in capital and FDI balances suggest some further downside pressure for Sterling will materialise, especially against the Euro," says Been. 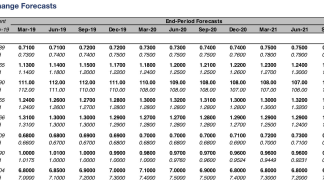 ANZ forecast the British Pound to peak ahead of 1.45 against the Dollar "over the coming months" and 0.88 should be the lower bound for EUR/GBP. 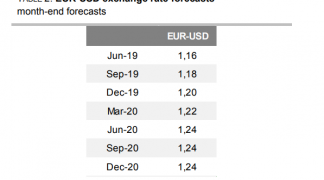 This gives us a GBP/EUR exchange rate of 1.1360, lower than where the pair is found today and for ANZ this suggests the peak in the exchange rate might already be in.